The TGA Vita is the latest addition to the TGA stable. This 8mph mobility scooter is manufactured by Heartway, manufacturer of the Freerider Royale, and lives up to their high standards of design and engineering. Like the Royale the TGA Vita borrows much of its styling from modern mopeds, but it is more than just a striking looking scooter. 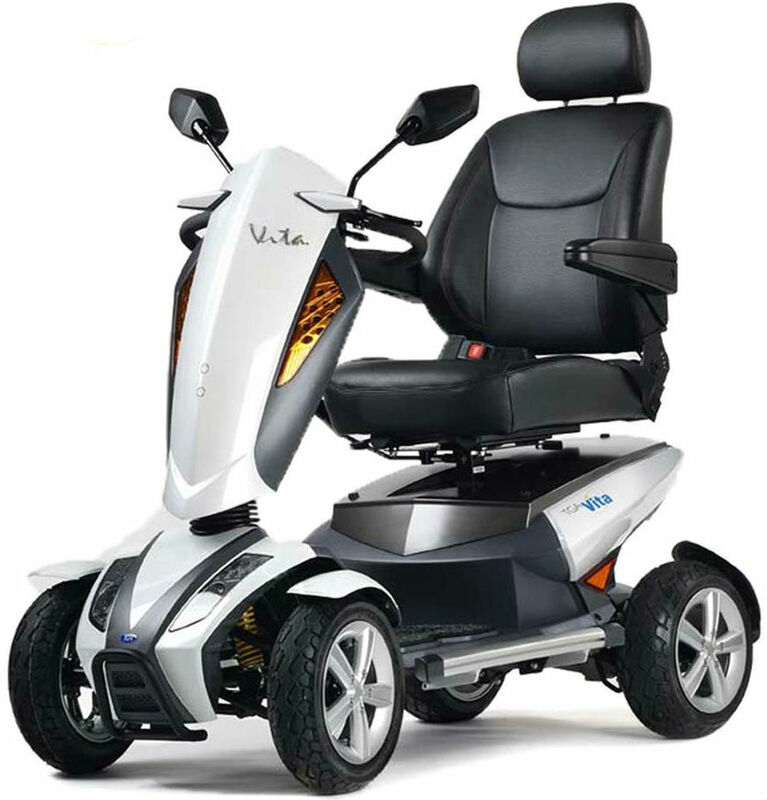 The TGA Vita is powered by a high torque 700 watt motor that is comfortable in even the most demanding terrain. Ride quality is ensured with Double-A arm suspension at the front and a single post shock absorber to the rear. Controls are of the highest standard, a motorcycle style emergency brake augmenting the traditional motor brake. The Vita features a full LCD display showing speed, trip distance, battery levels, time and lighting. The innovative LED lighting package provides full brightness at a fraction of the power consumption of traditional lighting rigs.